I love making Christmas cards. Every year I try to make a bunch for all the family. 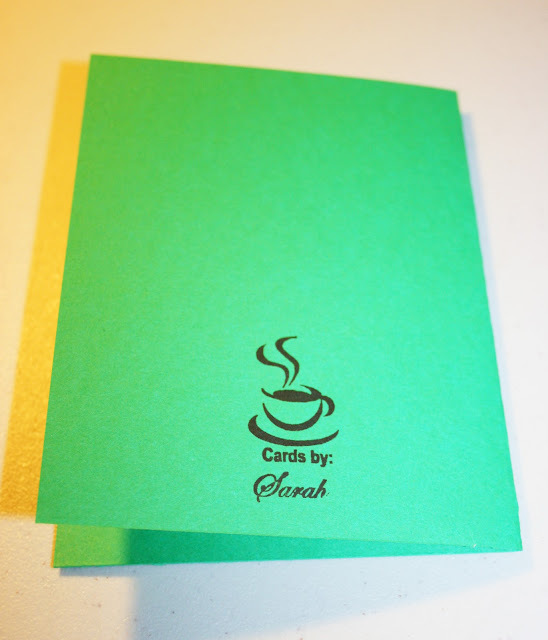 One design, but multiple cards to send out. 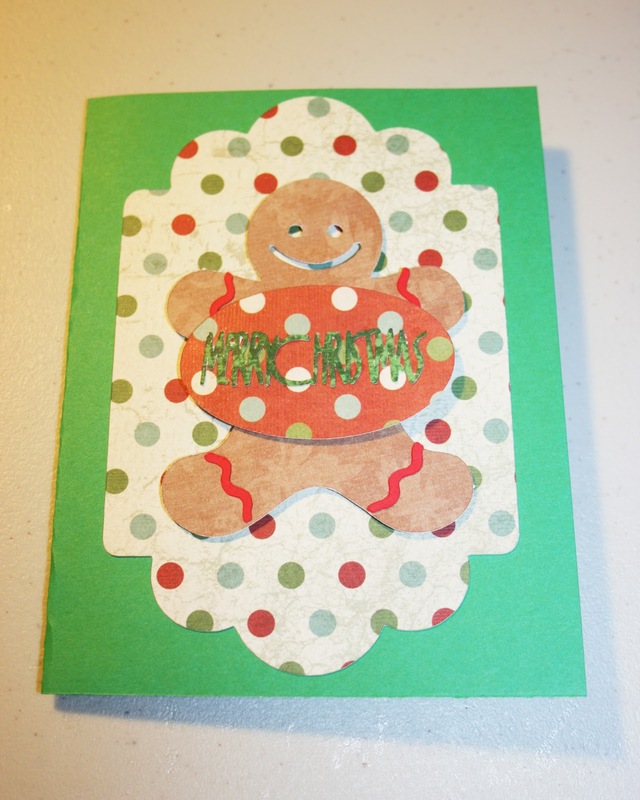 This year, I went with the gingerbread theme, because I just got a new Cricut cartridge that had a cute little cookie design I've been wanting to use. 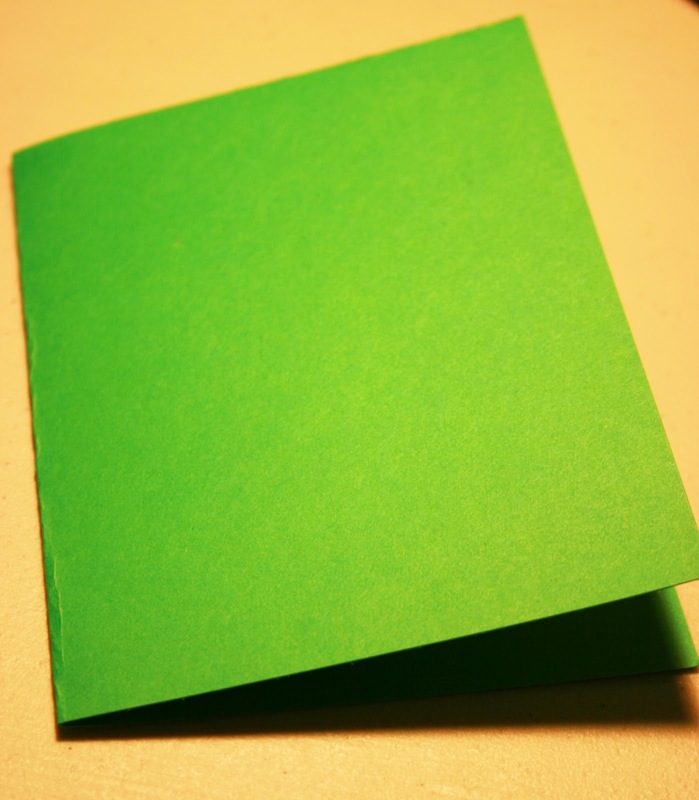 Start with an 8.5" x 11" sheet of green cardstock. Cut it in half so it's now 5.5" x 8.5". Then fold it in half so it's 5.5" x 4.25". Then I used a 12"x12" sheet of printed cardstock from the Paper Studio Ornamental Christmas Papers pack and cut the background image on page. 38 of the Just Because Cards cartridge. 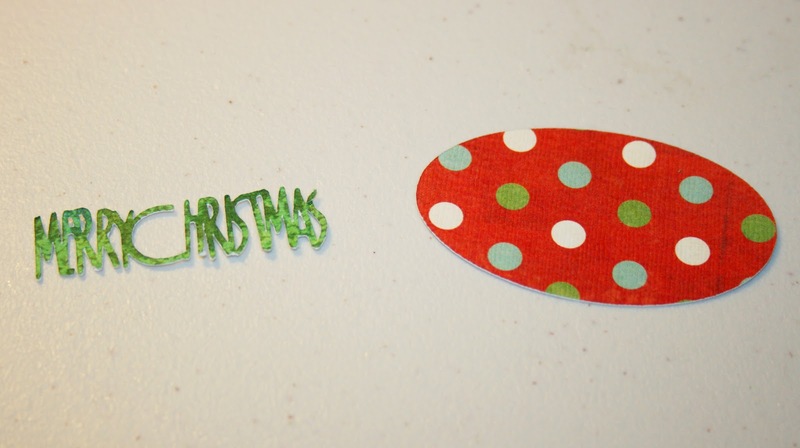 Then cut the gingerbread cookie design from page 58. Layer 1-shift and Layer 2 were both cut at 7 3/4". 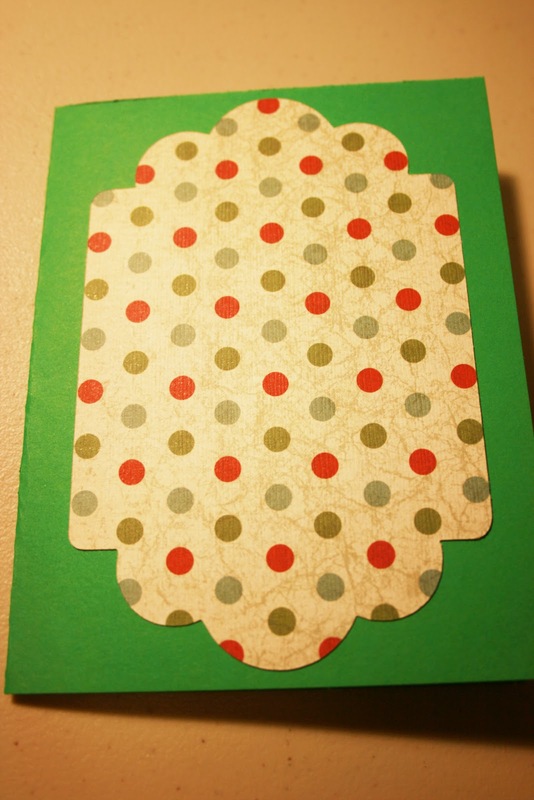 I used pop-dots to glue the cookie down to the card, to add dimension. the "Merry Christmas" sentiment was cut from page 77 of the Jubilee/Celebrations cartridge. It's cut at 1/2" from the Shadow layer. 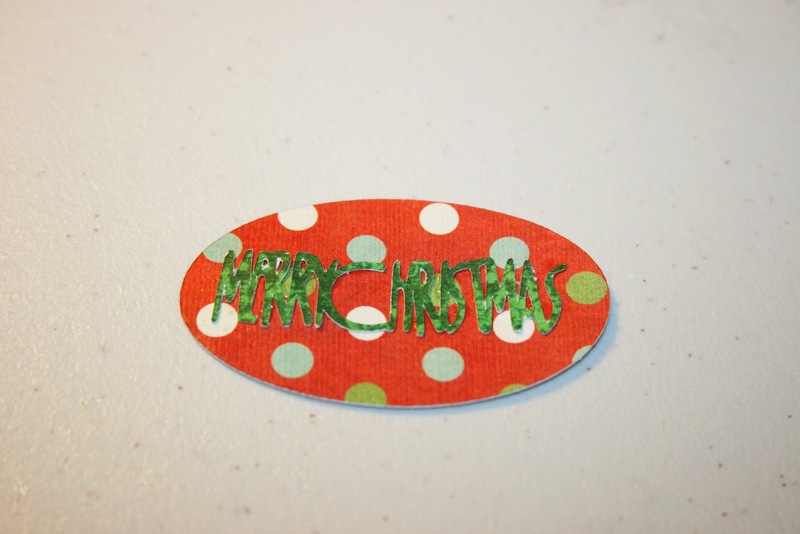 The background oval was cut from page 58 of the Just Because Cards cartridge, at 1 1/4" Stencil-shift. 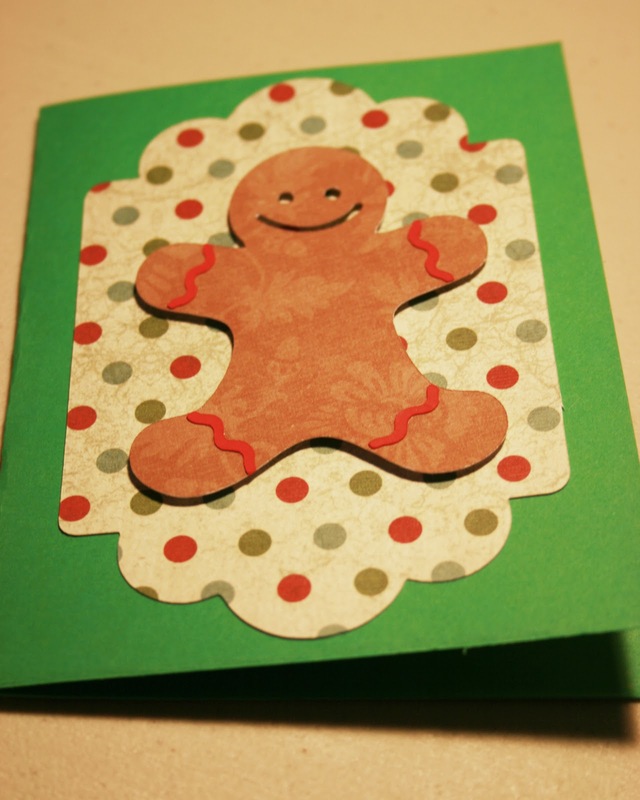 Then I used pop-dots to attach the sentiment to the cookie, to make it look like the gingerbread man is actually holding it. 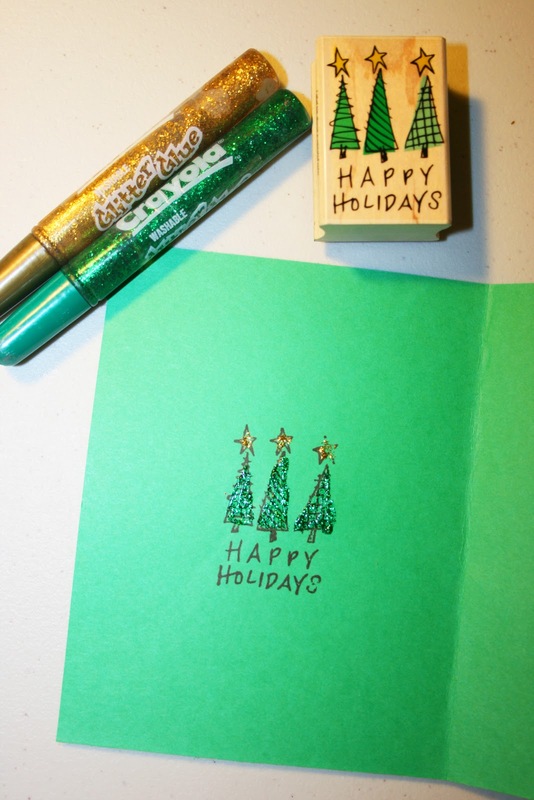 Then I stamped this "Happy Holidays" stamp on the card cover inside, and coloured it in with green and gold glitter glue.